We don’t have kids. Angus is our kid. But a friend who doesn’t bird hunt has a 10-year-old who read a book about bird hunting and wanted to go, so we took him today. Until we got out there on the hills I was worried he wouldn’t be able to keep up. Not that I’m such a mountain animal, but, geez, the kid’s ten and the hills are steep. And we got the first chukar of the year! He schlepped the 20-gauge the whole day, never was able to get a shot off, but never complained or got tired. We saw surprisingly few birds, but that didn’t deter him – he wants to go again soon. That’s good. I have new motivation to find more birds in this strangely sparse early season. Stay tuned. U have no idea how unusual it is a kid his age would have the focus, discipline, and confidence to go on a hunt like this. I speak as the father of two young boys. Kudos to him and parents. Thanks for your comment. He’s a great kid, with great parents for sure. Its not easy for kids to break into hunting on their own these days, it takes a lot of effort from grown ups that care to get them started right. I bet the Chukar Gods will remember your good deed for years to come. Great stuff. 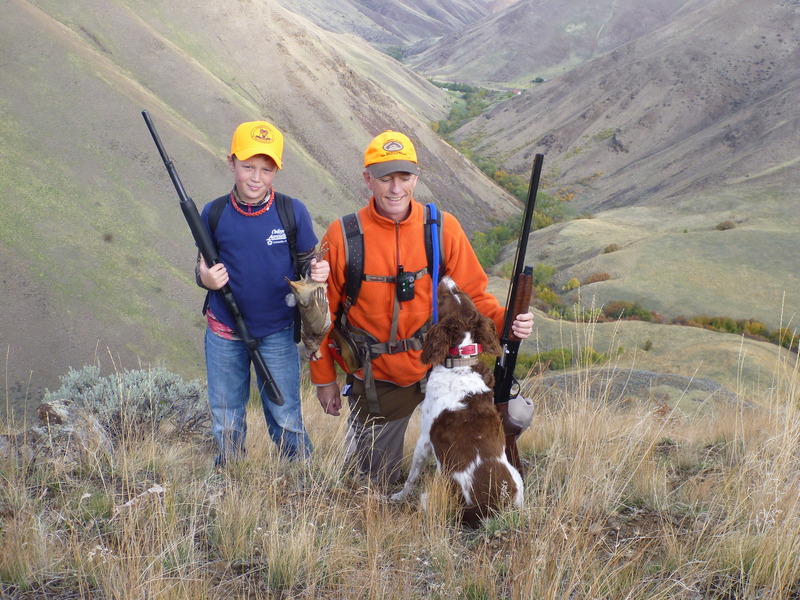 My grandson got his first chukar with Riley and me last year. He was ten so I know how much enjoyment you brought to that young man and he gave to you and Leslie. Really glad you were able to introduce a young man to this wonderful sport of Upland hunting. He will remember that first hunt for the rest of his life. 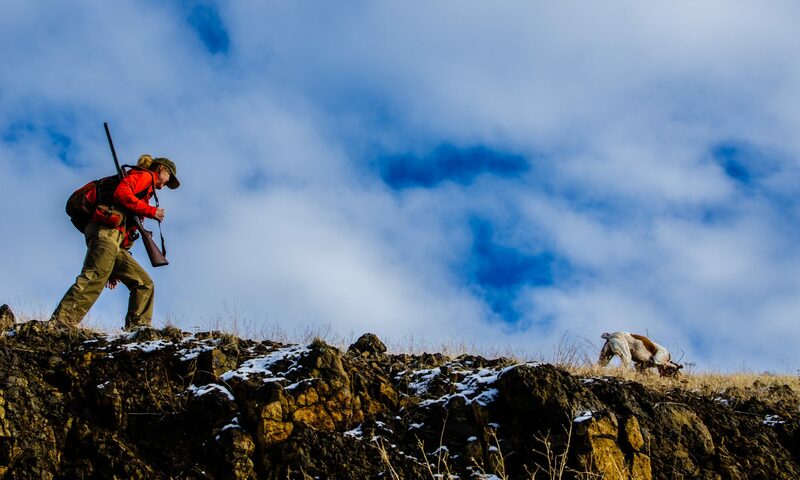 I see from the video you are wearing the new Badlands Upland Vest. How do you like it so far? I was out Pheasant all morning today but the scenery is no where near as spectacular as where you were. Thanks, Phil. I’ll remember that hunt for the rest of MY life! The kid is special. So is that Badlands vest. I don’t even know I’m wearing it, and it holds more than my other one. I’ll review it soon. Nice work! That kid looks like a future chukar bustin’ fool!